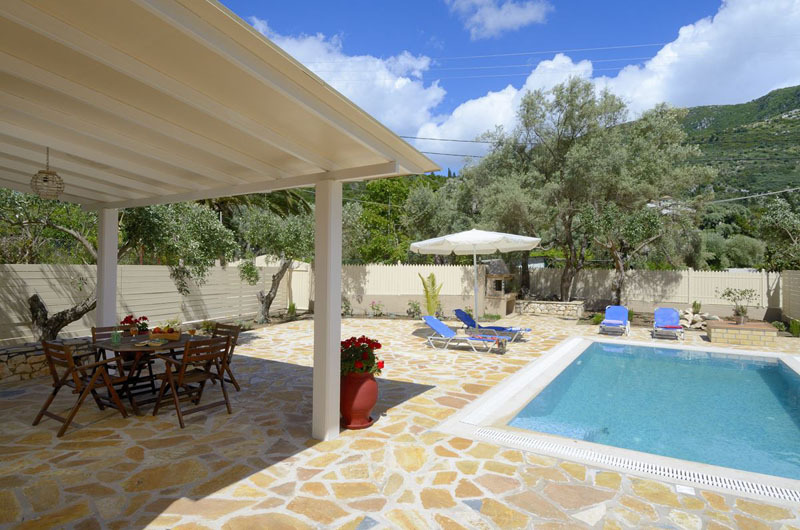 Sharing the same olive grove and lovely setting as the Rouda Apartments these detached two bedroomed villas each with their own pool and shaded terrace are perfect for families or two couples. 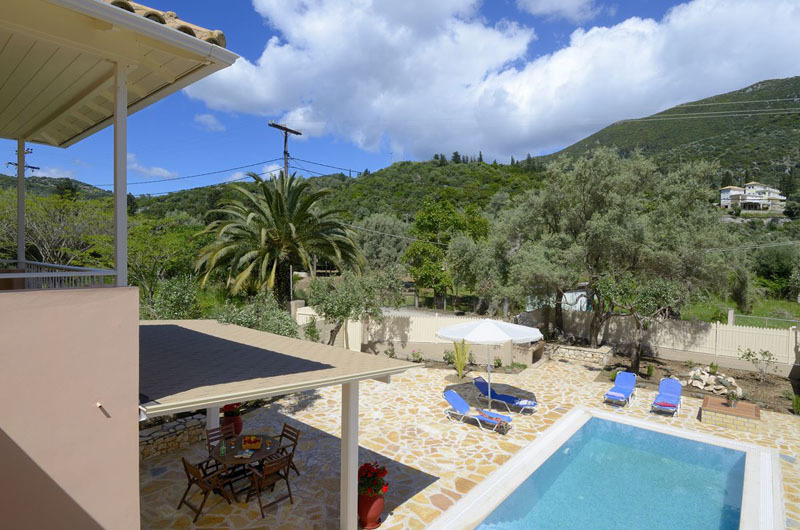 The beach is a mere 100 metres away and it’s just a short stroll from the beach to the traditional seaside village of Mikros Gialos. 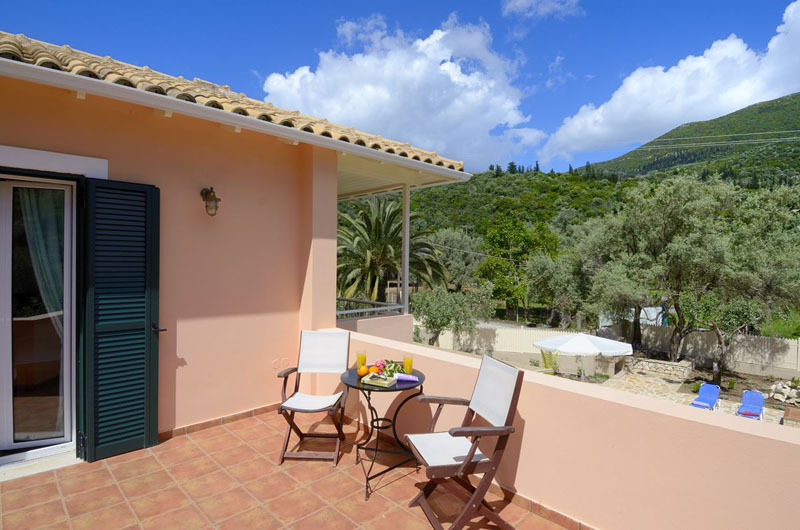 The bay itself, is just one of many along Lefkada’s south coast, each one different but all sharing crystal clear waters, backed by the contrasting green oak forest and olive grove, surrounded by steep hills, leading up to the high White Mountains. With good paved roads along the coast and up into the mountains, exploration by car of the interior this fascinating island is straightforward. 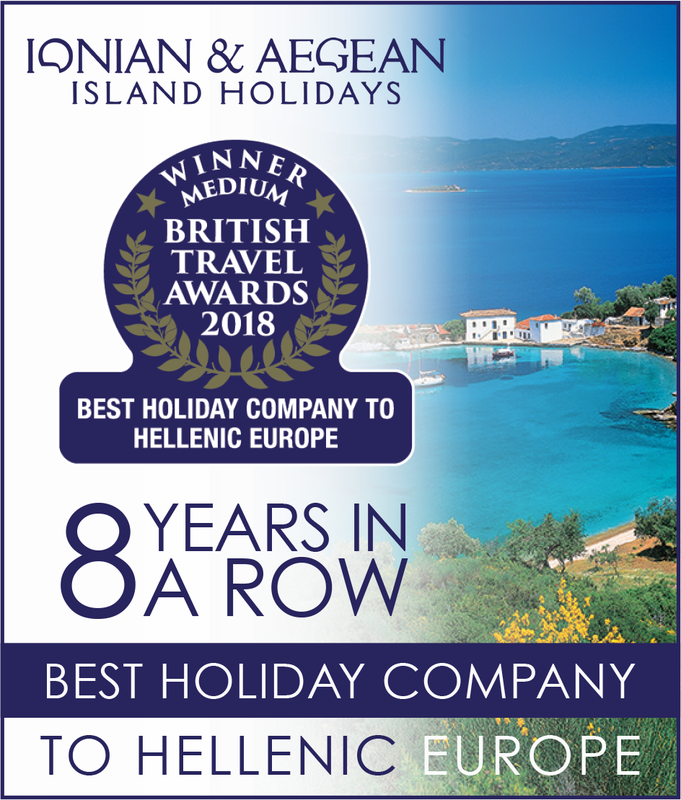 The bustling port and resort of Nidri where boats of all shapes and sizes almost outnumber the houses, picturesque Sivota, popular with yachtsman, or Vasiliki where a steady afternoon breeze has made the bay one of the world’s finest windsurfing venues are all within easy reach. 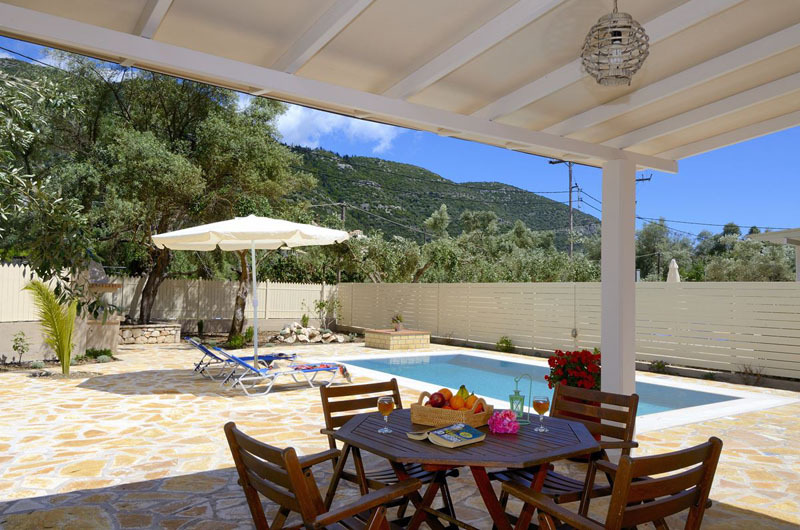 Staying at home beside the pool or on the beach is an equally attractive proposition, before wandering down to the village in the cool of the evening for an al fresco meal watching the lights come on in the mountain villages or even the moon rising over the Ionian Sea.